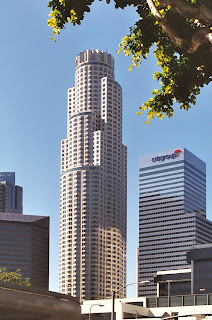 The tallest building in California, and along the entire Pacific coast, is U.S Bank Tower in Los Angeles. The tower measures 1,018 feet and has 73 floors above the ground, in addition to two underground levels used for parking. It is the tallest U.S. building west of the Mississippi River, and the tenth tallest in the country. Its roof is home to the second highest helipad in the world, after Taipei 101 in Taiwan. Construction of this postmodern skyscraper began in 1987 and was completed in 1989. Its façade is marble with a white and green curtain wall. Because Los Angeles is an active seismic location, precautions were taken in the building’s construction that will enable it to withstand an 8.3 earthquake. It was designed by Pei Cobb Freed & Partners’ architect Henry N. Cobb. Estimated building costs totaled $350 million. This building has been known by the alternate name Library Tower because of its role in the Los Angeles Central Library redevelopment project which began in 1986. The city sold air rights to the tower’s developers to help pay for repairs to the library, which had been damaged in a fire. It was also called First Interstate Bank World Center for a short time, but reverted to Library Tower after the merger of First Interstate Bancorp with Wells Fargo. It became U.S. Bank Tower in 2003 when it was leased to U.S. Bancorp. The crown atop the tower lights up at night and its colors are changed to celebrate Christmas, Valentine’s Day, and important Lakers and Dodgers games. Because this building is so instrumental in defining the Los Angeles skyline; it can be seen in several television shows and movies such as Independence Day. 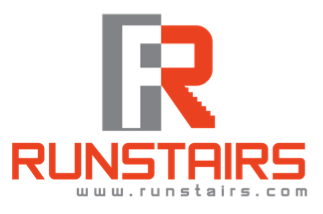 Each September for the past twenty years, the tower has been home to Ketchum-Downtown YMCA’s annual Stair Climb for Los Angeles. This building was sold March of 2013 to Singapore investors for $367 million dollars. The building has suffered in keeping fully occupied since the recession hit in the 2000's. The Wilshire Grand hotel is soon to become the tallest building in California and will surpass the U.S. Bank Tower. Estimated completion is 2017. This will be a very unique building and will not feature a helipad like many of the buildings in Los Angeles. Click here to see the full listing of tallest building in each of the 50 United States.